Can a better understanding of the pathophysiology of IS allow for improvement in its management? 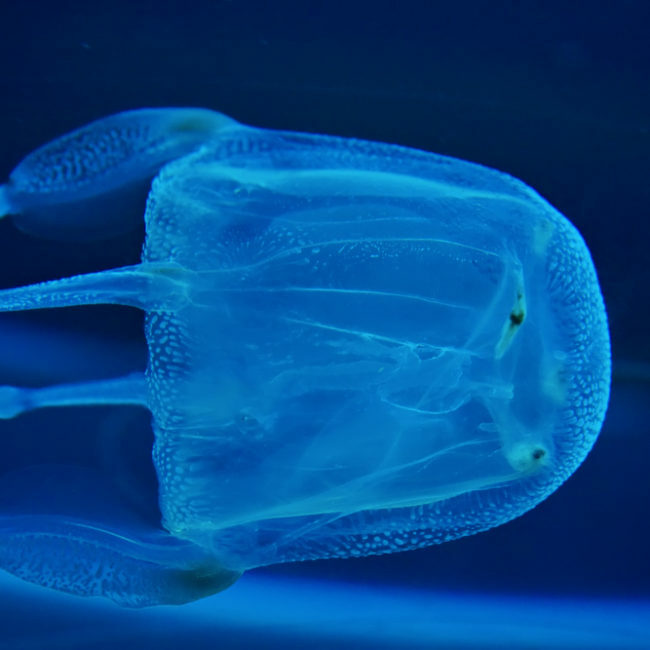 Irukandji Syndrome (IS) is a condition caused by the venom of jellyfish found in the tropical waters of Australia and has received significant media attention over the past decade. The syndrome most commonly presents with a variable combination of severe generalised pain, involving the torso and limbs, nausea and vomiting, sweating, headache and severely elevated blood pressure and pulse. Documented complications of IS include myocardial (heart) damage and failure, intracerebral haemorrhage (bleeding on the brain) and death. The signs and symptoms of IS are believed to be due to excessive release of endogenous catecholamines (stress hormones). A number of in-vitro and animal studies have documented elevated adrenaline and noradrenaline levels after exposure to venom from Carukia barnesi and related jellyfish. To date, no human trials have measured serum catecholamines in patients with suspected IS. This elevation in serum catecholamines may account for the profoundly elevated blood pressure and heart rate seen with IS. However, it is unclear what association the severe generalised pain of IS has with elevation of the endogenous catecholamines, i.e. cause or effect. The research team will conduct a prospective, observational, case-control study on patients with IS at The Townsville Hospital to measure serum levels of noradrenaline and adrenaline.